“Thomas Thielen has the ability to write dynamic, complex and intriguingly arranged songs, with frequently a rather dark atmosphere and much tension”. It must be frustrating for Thomas to read his old band name again in a review but I found it interesting to read how the reviewer described his music in those days. His first album under the name t was called “Naive” and got also a positive review here on progVisions. Then progVisions lost track of him, but personally I always followed his musical path and have original copies of his work in my CD cabinet. “epistrophobia” is the sixth t album and the second part of the musical novel he started with “fragmentropy”. That album found his way to my personal top five list of that year. So I was very curious about the music of this second part of a trilogy in the making. All music, lyrics, instruments and voices by Thomas Thielen. The album is performed, arranged and mixed by Thomas Thielen. With his new album he ventures to transform epic narrative forms into music. Where “fragmentropy” was constructed as an epic poem, “epistrophobia”“ tries to be a painting in words. The story is not told. It is asked, suggested, taken back, rephrased or crossed out. The information sheet tells us that it is like traces crisscrossed in the snow. With every listen you might find yourself being led somewhere else. 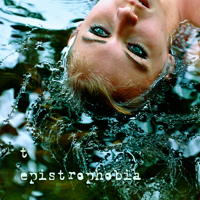 In the title “epistrophobia” you can find the Greek word epistrophe, which stands for the repetition of the same words at the end of successive phrases, clauses or sentences. Look at yourself, so you see you are not your self. Like the first part of this trilogy the album is released in a beautiful digipak. I like the artistic photography that is used for both albums. Also the typography of the lyrics is done in an artistic way. It is not easy to read but the reason for this is of course the concept. Interesting stuff, but what about the music? On this album you can find Chapters four, five and six of the trilogy. Chapter four is entitled “A Poet's Downfall” and is divided into the parts “In Abeyance” (13:45) and “The Dark Beyond Our Fears” (12:01). Like on the previous album, “In Abeyance” opens this album with an instrumental soundscape. Music that seems to come from nowhere. Slowly the volume and the tension of the music is building up towards a dynamic climax. A beautiful climax full of melody. After this instrumental intro of four minutes t is reciting the first vocal lines. Like the tension of the music that is building up towards the next climax, the reciting of words is becoming singing of the words. The second part “The Dark Beyond Our Fears” has besides the beautiful melodic vocal lines and the reciting of parts of the lyrics also a freaky saxophone part. The music has a great dynamic range. Chapter five “Contingencies” is divided into the parts “What If”, “What If Not” and “Forgiven”. The vocal parts of the opening of “What If” (5:51) reminds me slightly of Peter Hammill. You can also find some great soaring guitar solo's in this part. The opening of “What If Not” (12:22) is the opposite of “What If” and is hectic and freaky with aggressive guitar parts. The way of singing is now definitely referring to the work of Peter Hammill. The freaky and aggressive electric guitar parts are followed by more melodic vocal parts. The ending is just beautiful with lovely melodies. The last part “Forgiven” (7:43) is more restrained. Chapter six “The Place Beyond The Skies” is divided into the parts “A Mask Behind A Mask” and “Epistrophe”. In the last section of “A Mask Behind A Mask” (12:08) you can find Floyd like guitar work. The last song “Epistrophe” (14:16) is more uplifting and the music is somewhat lighter in character than the previous parts. Again you can find some lovely guitar solo's in this part and the music is working towards a nice climax. A worthy ending of this remarkable album. This is music for the open-minded music lover. You have to listen to this album several times before you can discover the real beauty of the music. If you do, you will be rewarded. Every time you listen to this album you will discover some new details. The quote of my intro is still true; Thomas Thielen has the ability to write dynamic, complex and intriguingly arranged songs, with frequently a rather dark atmosphere and much tension. After the impressive first part of the trilogy (“fragmentropy”) this second part “epistrophobia” is a worthy successor. Highly recommended!